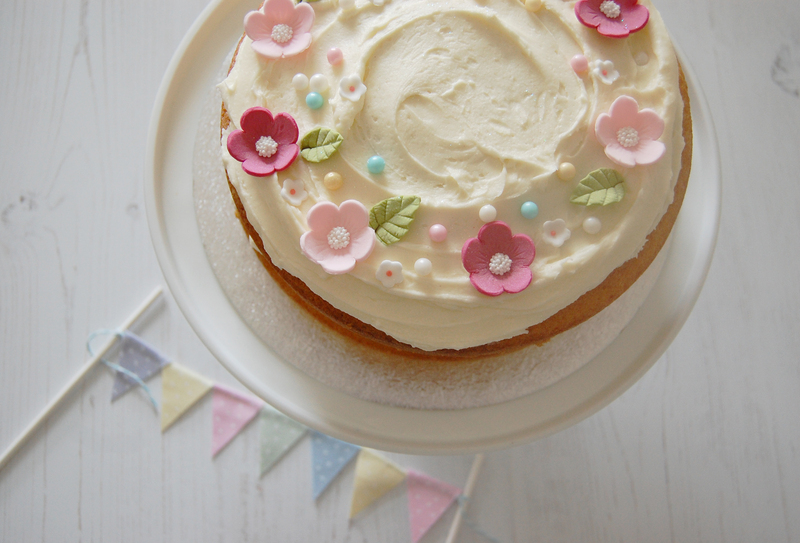 I’ve been baking for a good number of years now, and my love for cake decorating is still very strong. Whenever I have friends or family visiting or a party to prepare for, I always turn to my cupcake recipes for some inspiration. With so many recipes, tips and ideas out there, it’s very easy to get lost whilst planning. To help you to avoid this, I’ve put together my top ten baking tips, alongside some adorable styling ideas and a tried and tested vanilla cupcake recipe, so you can enjoy a stress free baking session in the kitchen. 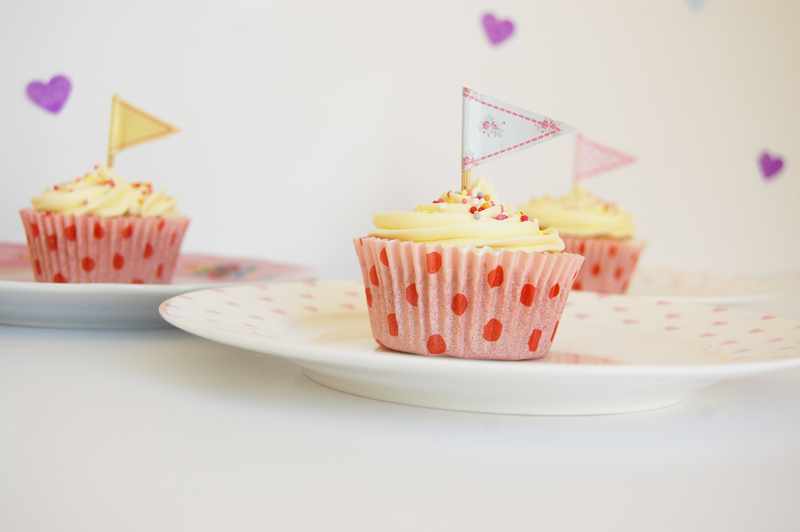 If the cupcakes pictured below look like just your cup of tea, then read on! Preheat the oven to 160c (fan)/180c/350F/Gas mark 4 and line a 12-hole muffin tray with cupcake cases. Cream the sugar and butter to a pale consistency. Add the eggs, one at a time, and mix for a minute or so after each one is added. Combine the sifted flowers into the same bowl. Measure the milk and add the vanilla extract to it. Gradually fold the flours into the creamed mixture, using a large metal spoon. Add the milk. Carefully spoon the mixture into the cupcake cases. An ice cream scoop or measuring scales will help you to achieve an even amount of batter into each case, meaning the cupcakes should be of equal size and baked consistently. Bake in the oven for 20-25 minutes, or until fully cooked. Insert a skewer into the middle of the cupcakes when baked. If they are cooked through, it should come out clean. Leave them in the tin for about 10 minutes before placing on a wire rack to fully cool. Once they are completely cooled, you can ice them using my delicious vanilla buttercream recipe below. Beat the butter, vanilla extract, milk and half of the icing sugar until smooth. This can take up to 5 minutes. 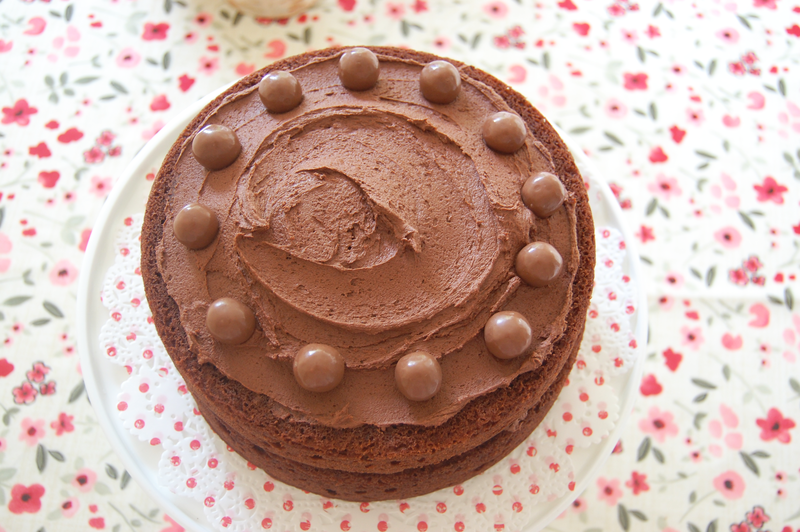 Gradually add the remaining icing sugar until your buttercream is smooth and creamy. There are several ways to decorate cupcakes with buttercream icing. 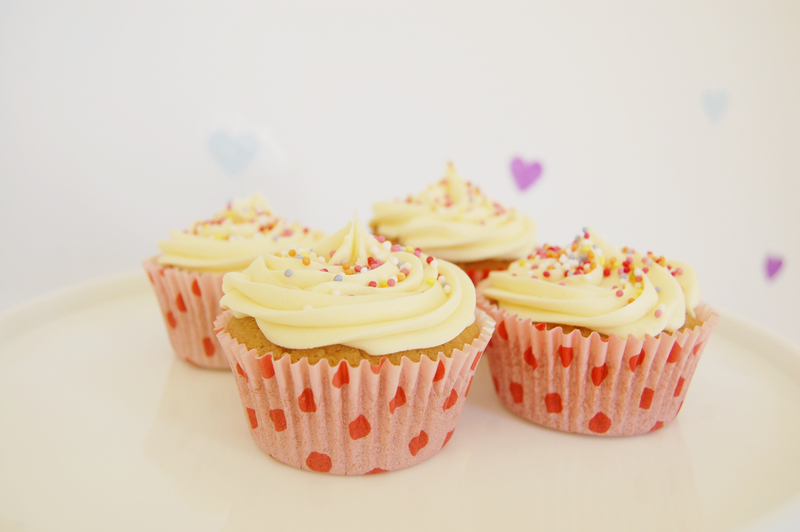 To achieve a finish similar to the cupcakes pictured above, you will need to invest in a piping bag and large nozzle. If you don’t have those tools, you can alternatively spread the icing on top of the cupcakes with a pallet knife. 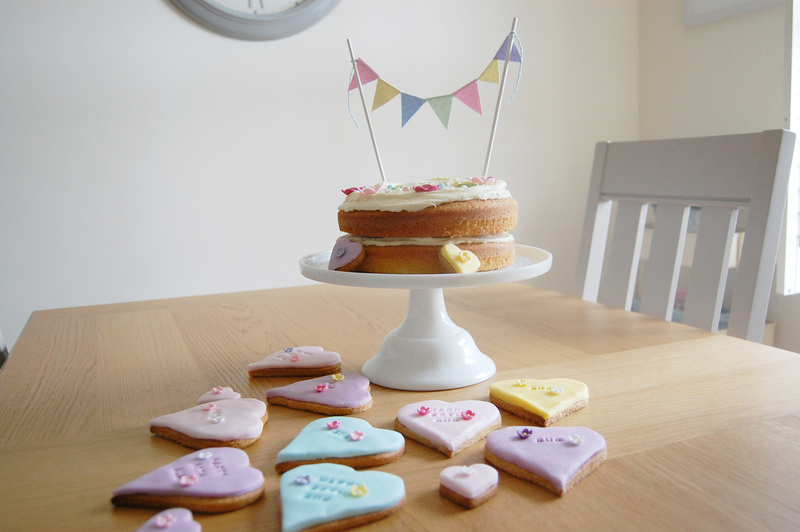 Top with cake decorations of your choice and serve with pride! Enjoy! A polite reminder: This tutorial is for personal use only and should not be reproduced or sold. 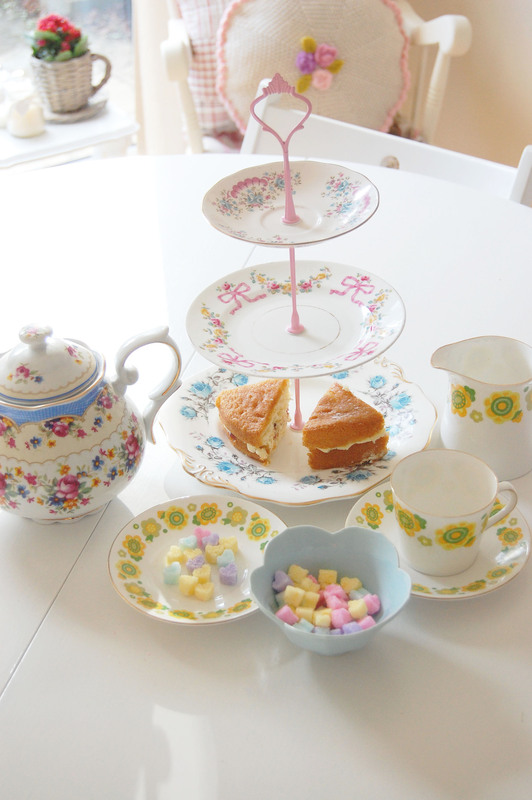 Today at Paper Doily it is all about quintessentially English tea parties. 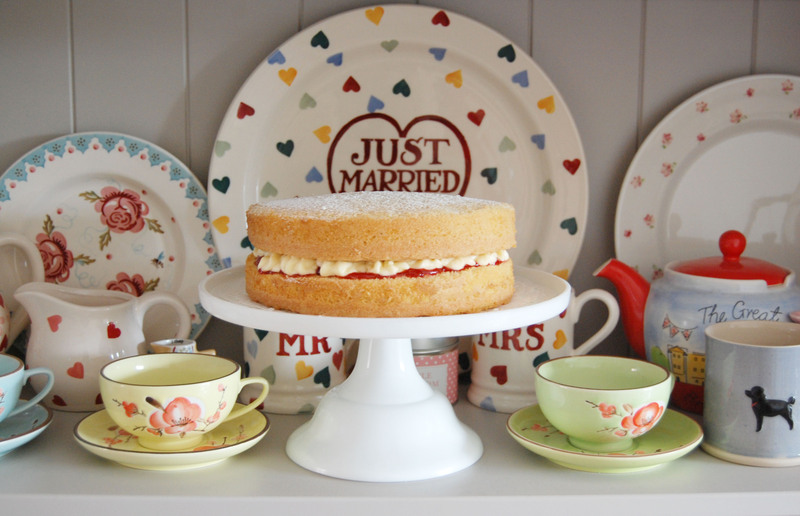 Before I elaborate, you will notice the emptiness of the beautiful cake stand. 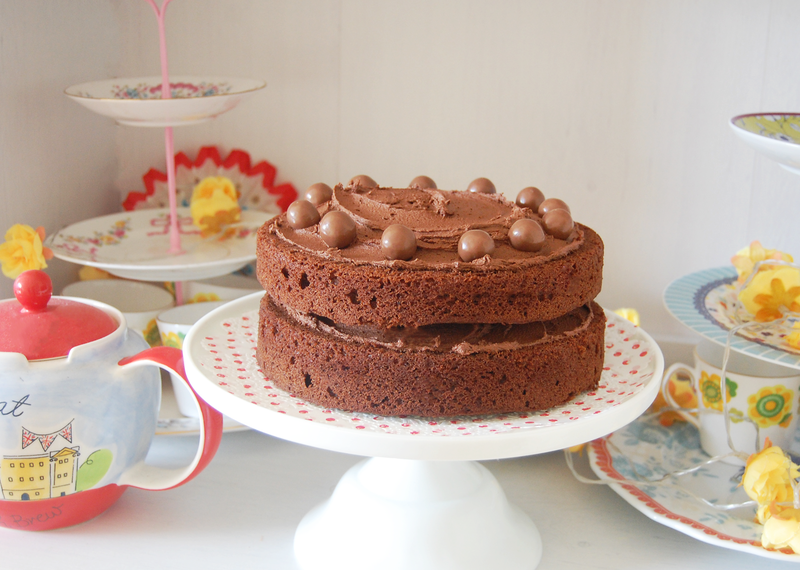 I’ve been browsing through my cookery books planning special tea party bakes and will be posting more about that shortly, so do keep your eyes peeled for more tea party related posts. 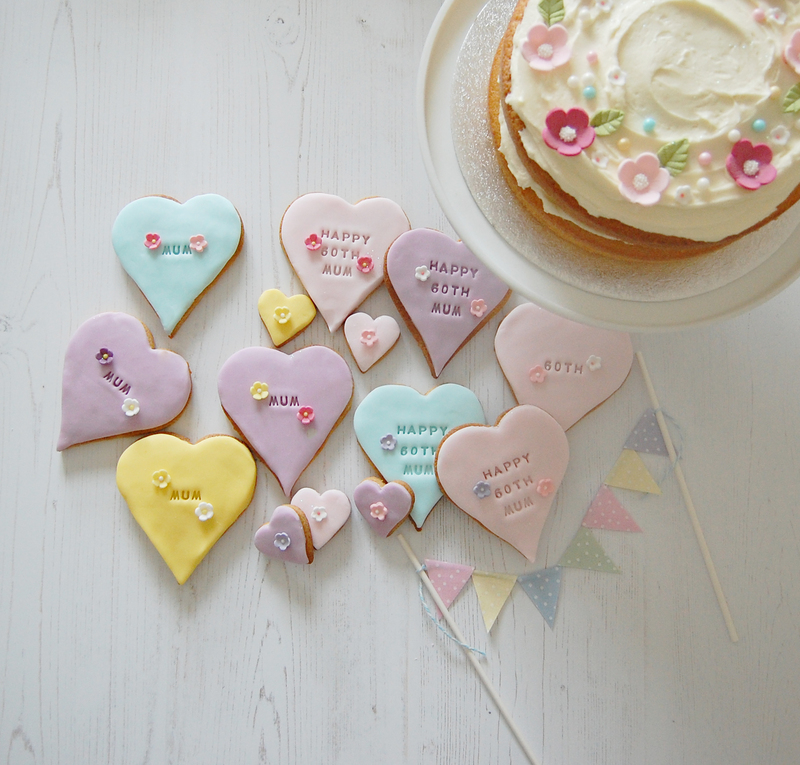 For now, this post is all about the cheerful sugar hearts, pictured above. I think they are a wonderful addition to the table and definitely add a rather unique touch. With Valentines Day approaching they also offer plenty of inspiration. These sugar shapes are a creative twist on standard sugar lumps, which can sometimes look a little plain. 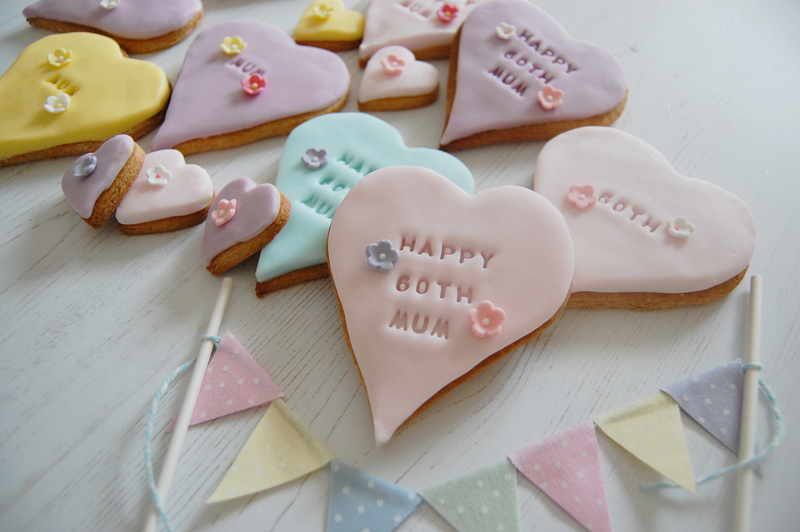 They are extremely easy to make, take very little effort and can be made in advance of any occasion. They can be used in a variety of ways. 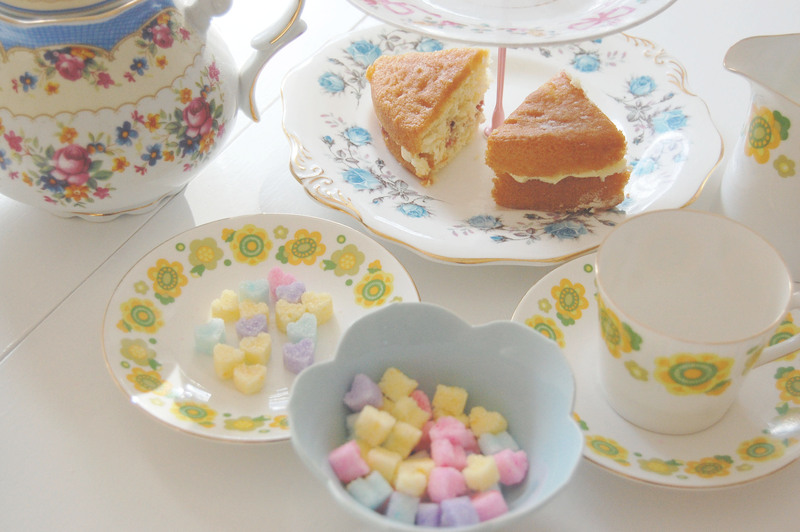 If you aren’t hosting a tea party, they will be wonderful as small wedding favours with ‘love is sweet’ stickers, placed in little jars or clear wrappers. They also make lovely gifts and can be packaged creatively in a variety of ways to make them look even more special. If this is something you would like to try, do feel free to use the recipe below. 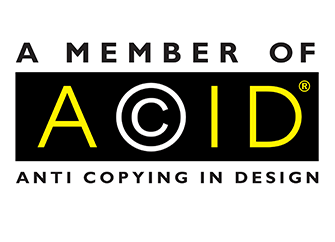 I would love to hear from you if you are intending to or have made them. 1. If you are intending to have multiple coloured sugar cubes, take some clean bowls and measure out equal amounts of sugar. 2. Add a few tiny drops of water into each bowl of sugar and mix thoroughly. The mixture should not be too wet, neither should it be too dry. 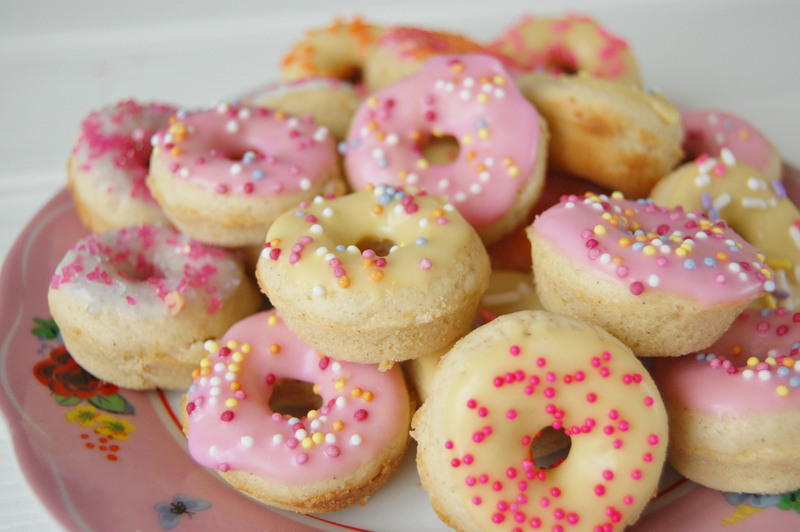 The sugar should form small lumps. 3. Dip a cocktail stick or other small instrument into your desired food colouring pots and mix a small amount of food colouring in with the sugar, stirring thoroughly until each sugar bowl contains your desired colour. 4. Take your mould and fill each shape with sugar. Pat each shape down with a clean spoon to ensure you have an adequate amount of sugar. 5. Leave to set overnight. 6. 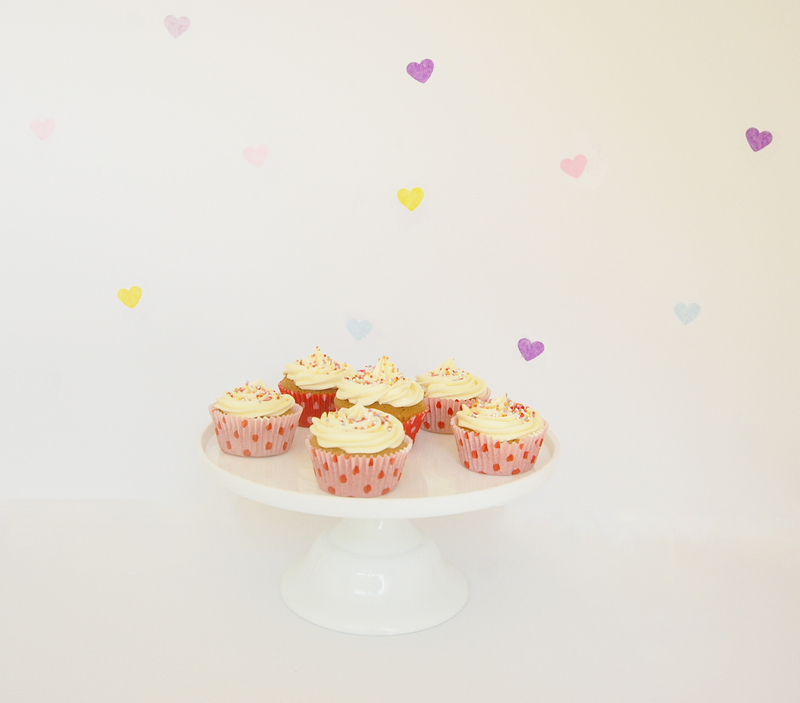 Carefully place a plate under the mould and press out each sugar heart. They should come out easily. It’s that time of year when many of you are thinking about the little tokens of love and appreciation you can share with your loved ones this Valentines Day. 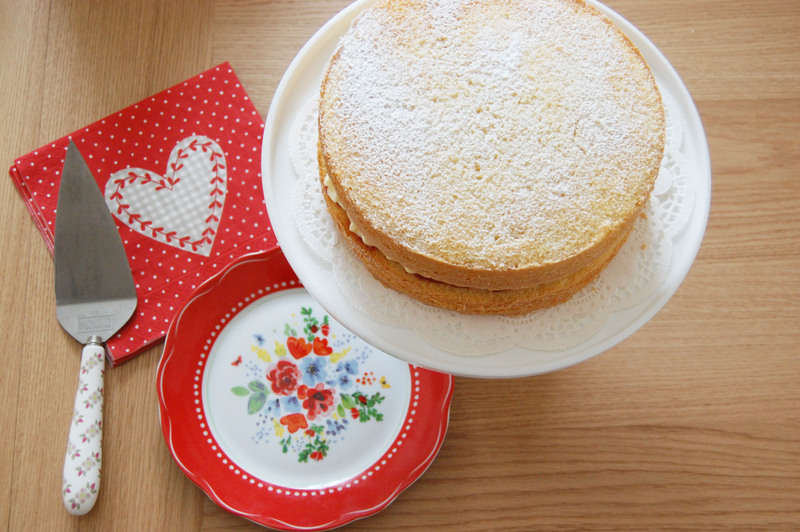 I have never thrown any huge Valentines Day celebrations but I do use any excuse to be creative and if my husband benefits from my efforts, then I’m sure he would agree that thats even better! 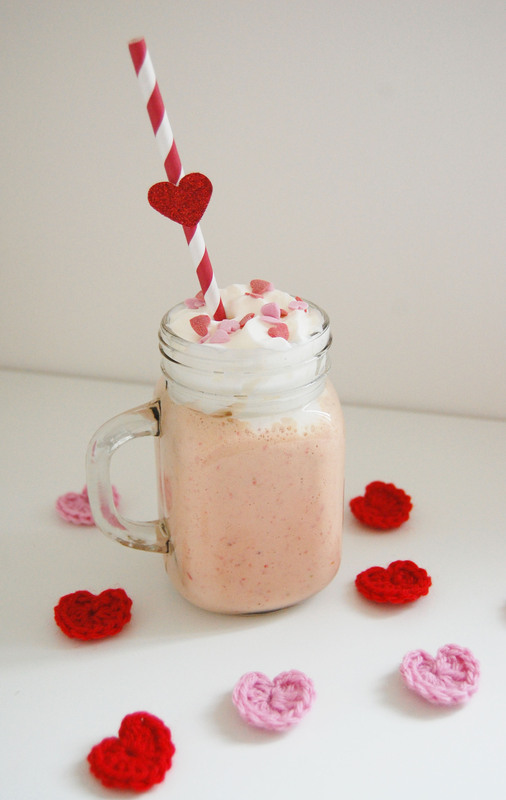 This Valentines Day Strawberry Milkshake is a wonderful idea if you are looking for something impressive, inexpensive, delicious and easy. It can be styled beautifully in a variety of ways. 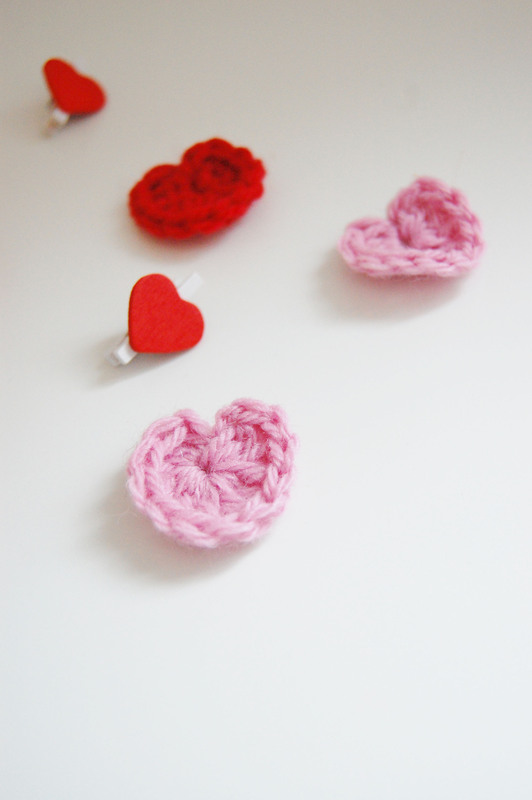 I have styled it with crocheted hearts and wooden pegs, but the possibilities really are endless. 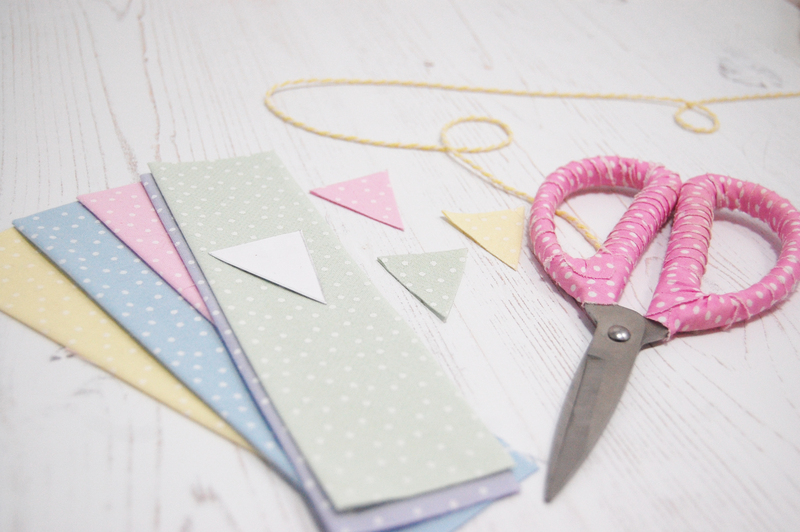 I crafted a heart paper straw in a few seconds to add that extra special touch. Red glitter paper is readily available in many craft stores, along with heart paper cutters. 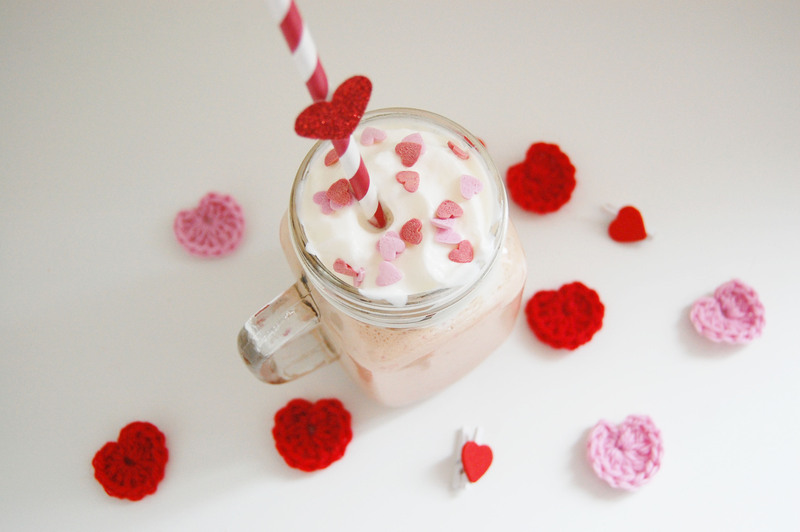 Paper straws are everywhere at the moment and the paper hearts can easily be attached with a small piece of clear sellotape or a small amount of UHU glue. 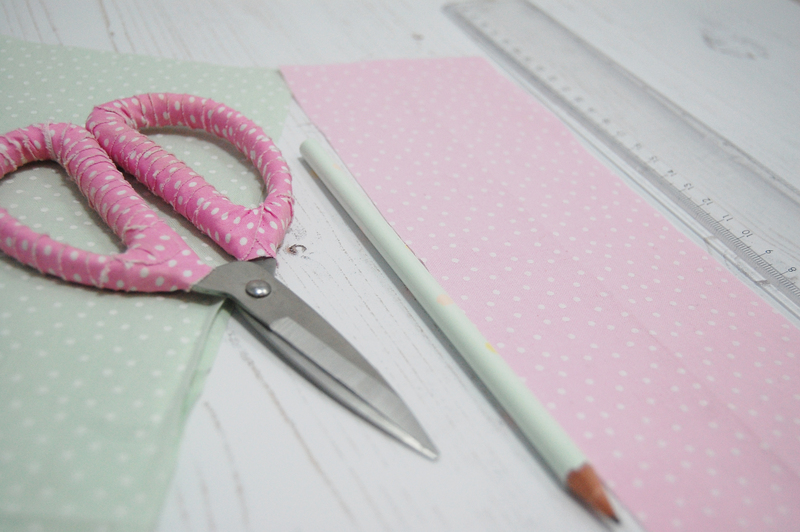 if you aren’t feeling particularly crafty then similar straws are available here at Paper Doily Party Shop. If I have inspired you to have a try then please do use the recipe below. 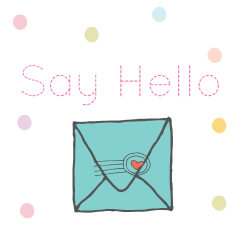 I would love to hear from you if you decide to make it for yourself as a treat or for a loved one. Here goes..
Makes 2 medium sized milkshakes. Can easily be halved/doubled. 1. Place the ice cream and strawberries in a blender with half of the milk and pulse until the mixture is smooth. Keep adding milk until you have reached your desired thickness. 2. Pour the milkshake into a medium/tall glass. Leave an adequate gap at the top of the glass for the cream. 3. Squirt some whipped cream on the top, followed by your favourite sprinkles. You could also add fresh strawberries or a chocolate flake. The possibilities are endless! I decided to make chocolate doughnut muffins this weekend and I cannot stop thinking about how perfect they would be for an American themed party. 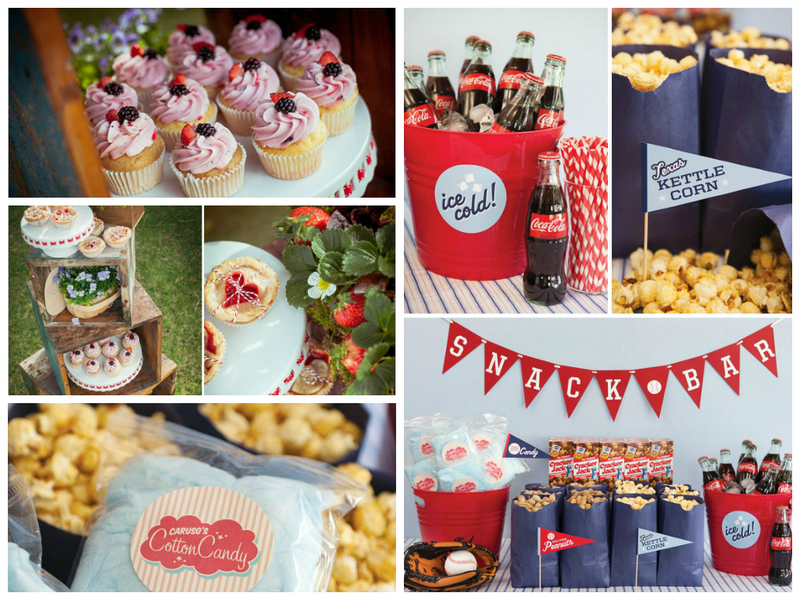 After browsing the web for American themed parties I am blown away by the creativity and imagination by party organisers across the globe. It would appear many other people have had similar ideas and have thrown the most incredible parties and weddings under this theme, some of which are handpicked below. The blues, bright reds and hints of white are the perfect colours for the American theme and are all used in the most effective way possible. 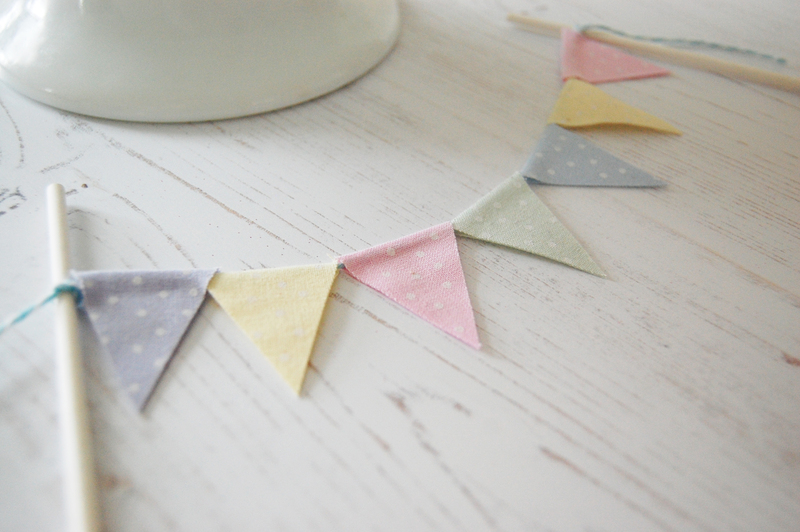 The bunting, bakers twine and retro labels, all featured on the Hostess with the Mostess blog add so much to the overall party theme and just look simply perfect. If you are regular reader, you would have already seen my movie party popcorn pops recipe shown above, but I thought they were very appropriate to this post too! 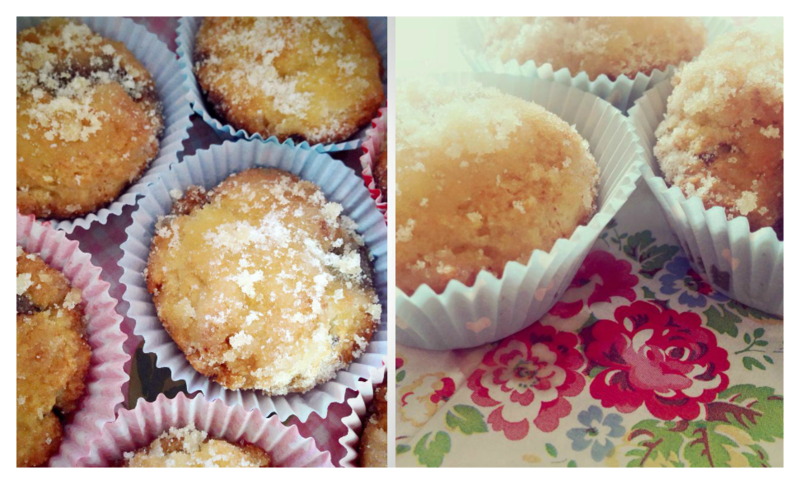 With much excitement, let me share the delectable doughnut muffin recipe with you, pictured above. 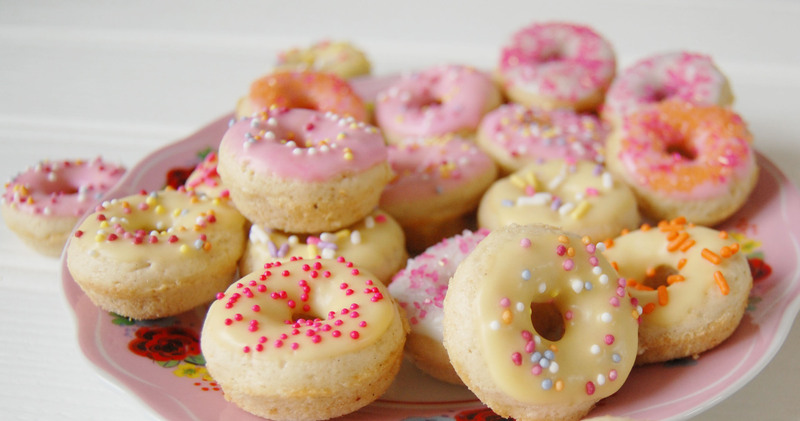 I think these doughnut muffins would be the perfect addition to any American themed party dessert table. Preheat the oven to 190c (375F, gas mark 5), and oil a muffin tin. You will need a reasonable amount of oil as this will prevent the muffins from sticking to the tin. Beat together the oil, milk, vanilla extract and egg. Fold this into the flour and caster sugar mixture. This must be done gently to achieve soft muffins and any lumps can be ignored. Melt the chocolate in a microwavable bowl or in a pan over the hob. Place a spoonful of the doughnut mixture into each cup, followed by a spoonful of melted chocolate and then another spoonful of the doughnut mixture. Melt the butter and place the granulated sugar on a large plate. Turn the muffins out of the tin and dip each entire muffin into the butter followed by a good roll in the granulated sugar. The muffins will be fairly greasy from the butter, so you can place them in muffin or large cupcake cases. 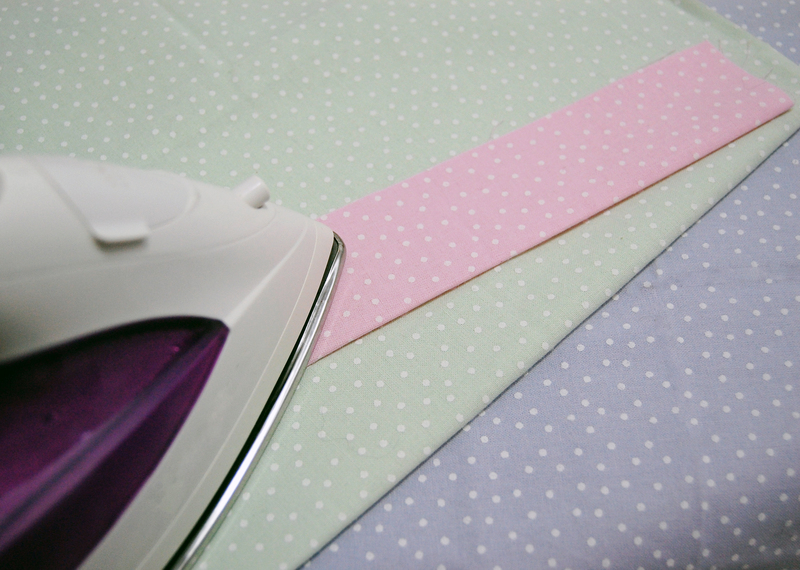 Not only does it make them prettier, it may save a lot of sticky fingers. 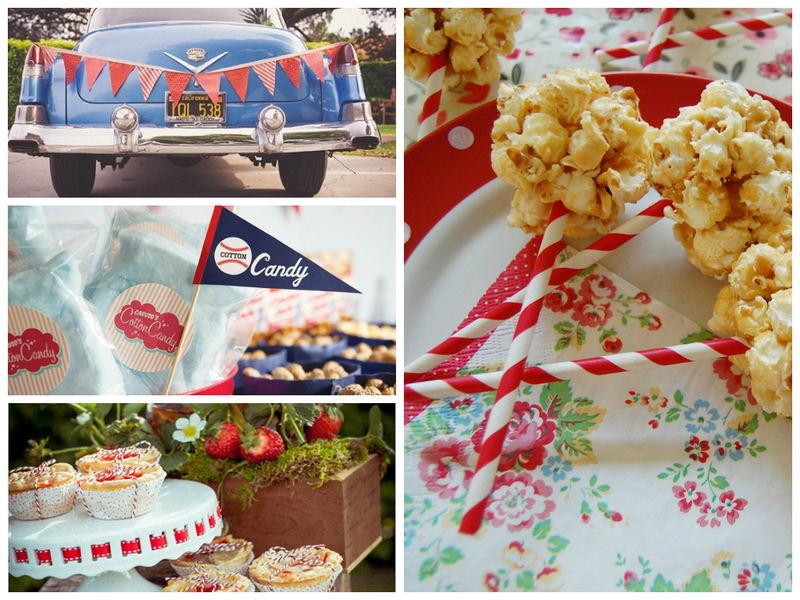 I would love to hear from you if I have inspired you to make them or you are thinking of hosting an American inspired party or wedding! My husband and I decided to throw our own mini new years eve party this year. It consisted of homemade tapas, fruity cocktails and some extremely sweet but truly delicious caramel popcorn pops. Yes you heard it right, caramel popcorn pops! I wanted to make something quick, easy and tasty which was a little out of the norm. As I was photographing them I realised how perfect they would be for a movie party, similar to the fabulous one pictured above. The paper straws I used added such a lovely touch and they were also perfectly adequate for the weight of the popcorn. They would be fabulous served with american style milkshakes and chocolate. I thought it would be lovely to share the process with you below. If you love the idea and would like to have a try then I do hope you have lots of fun. I would love to see the results if you feel like sharing! Children would absolutely love preparing the ingredients and helping to make this recipe. Please do bear in mind though that the mixture does become very hot and sticky, so parts of it are best left for adults only. Here goes..
Take a large pan and place it on the hob on a medium heat. Melt the butter. Add the marshmallows and light brown sugar. Continuously stir the mixture until it becomes bubbly and smooth. Remove it from the heat. Take another pan and heat the vegetable oil on a medium heat. Add the popcorn kernels and place the lid on the pan. Repeatedly shake the pan until all of the popcorn kernels have popped. Remove the pan from the heat and sprinkle with salt. 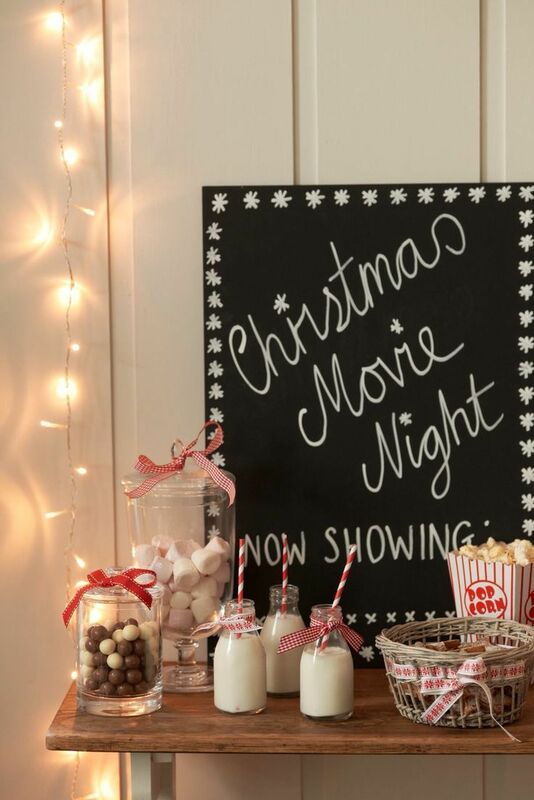 Carefully spoon the popcorn into a large mixing bowl leaving any un popped popcorn kernels. Take the caramel sauce and pour it over the popcorn. Take a spoon and mix it to combine. A metal spoon is best as the mixture will be very sticky. It’s best to work as quickly as possible during this stage before the caramel sets! Allow the mixture to cool for 3 minutes. 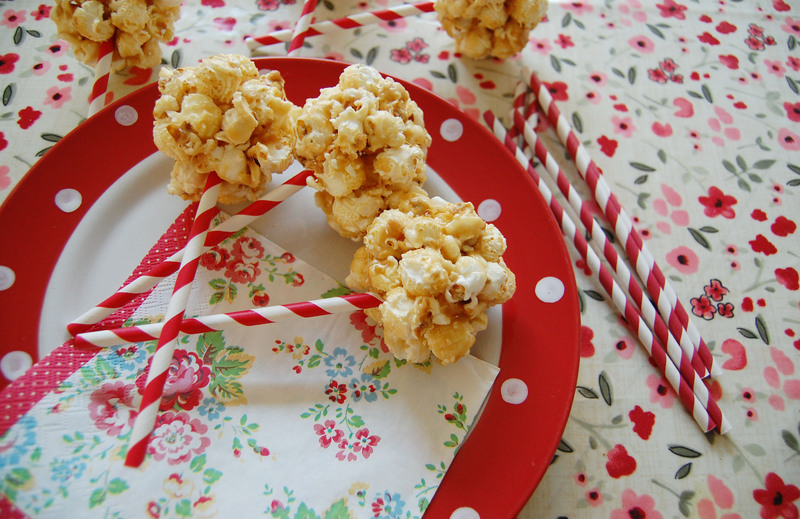 You can then form the caramel popcorn into balls and insert the straws/cake pop sticks. I made 6 medium sized pops, but you can alter the recipe/size to suit. You can then sit back and enjoy them!